November 11, 2013 by The Junkie 1 comment on "Learning Japanese The “Shut Up And Do It Already” Way – Common Questions Answered"
You should be really learning Japanese instead of worrying about the small details. So here. I’ll help you get it over with. Learn Japanese The “Shut Up And Do It Already” Way and get Common Questions Answered. 1. Do I Learn Hiragana, Katakana and Kanji? Oh, and Romanji?? Which comes first? And WHY? It’s romaji. No romanji. 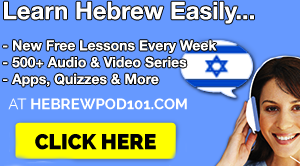 And which should you learn first? Learn both, Katakana and Hiragana first. It’s NOT hard and if you’re partially sane, you could learn them in a week. The only difference is Katakana is used for foreign words, academic terms and sciency words. But mostly, foreign words. Do you need romaji? No. I suggest you quit it as soon as possible and start relying on Hiragana and Katakana if you actually want to get better at reading Japanese. And Kanji? Why do we need it? Well… Japanese sentences have no spaces, so reading something like にほんごあまりわからないけどひらがながよめる becomes extremely painful. Also, many words have the same hiragana spelling. So, this is where Kanji comes in. You read a lot faster because you know the characters, and you don’t mix up meanings because the kanji characters vary. 2. OK, I learned Hiragana and Katakana and can read but I don’t understand anything! What do I do? 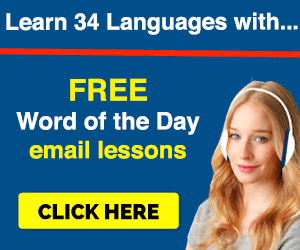 And start learning vocabulary alongside. Grab a dictionary or use an online one like Jisho.org and start putting the pieces of the puzzle together. Then, you’ll start understanding. Textbook learners typically don’t have this problem because a textbook introduces them to beginner grammar and vocabulary so that they can start reading Japanese and understanding. This is a common problem with self learners that are using websites with no structure. Best advice? Get a textbook and a dictionary. 3. Can I learn Japanese by myself in a year? Online? I don’t like saying no to people wanting to do crazy things. Can you? Yes… if you tried hard enough, you probably could. And by hard enough I mean 6:30AM wake-ups, 8 hour daily studies, where you actually had Japanese speakers available to Skype with at any time. That being said, most people are lazy… so the realistic answer is No. Or, more so, several parts of your Japanese will suffer… and most likely it’ll be speaking. You NEED living, breathing Japanese speakers to interact with. Fact. No arguments. End of story. 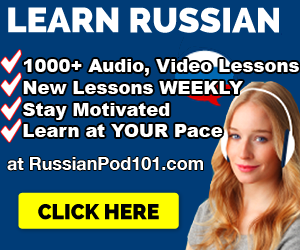 At best, you, like most Japanese learners, can develop a good ear through audio lessons, dramas, music, anime, and you can learn to read and write with all that’s out there. This is possible in a year. But if you’re planning on doing an hour here, an hour there, taking a day off… and then just passively learning by watching anime and not seriously taking notes on new words… you’re out of luck. 4. How should I start learning Japanese? Don’t read advice articles. Don’t read “how to learn Japanese” tips. Stop beating around the bush and start in any way possible. Get a book. Buy an online course. Take a class. Just don’t fill up your head with do’s and don’t before you’ve actually started. 5. Can i learn Japanese by watching anime? Go for something… ninja-free… and a little more to the realistic side please. 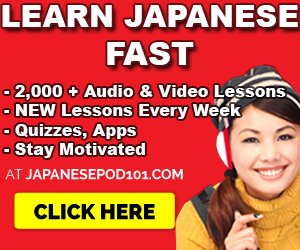 you develop an ear for Japanese and boost your listening skills. But, it’s very passive. You won’t learn to talk. You need real and unpredictable conversations to hone your speaking. You won’t learn to read. And you definitely won’t learn to write. So, the answer is yes… but consider it something to do on your downtime as passive learning as about as effective as learning Japanese by playing language tapes while you sleep… LOL. See relevant Dexter’s Lab French learning episode for reference. get a pen and a paper ready. write down unknown words and grammar. research them after you’re done watching. re-play to hear it again. 6. How do I start speaking Japanese well? Well…you need to speak… first… and open your mouth. You mean… fast… natural… and plenty of words to spew out like there’s no tomorrow! A confident Japanese chatterbox if you may. Do substitution drills for every grammar you come across. Substitute “go” with other verbs. “I have to clean“, “I have to inspect“, etc. Change the subject. “He has to go”, “we have to go”, etc. What else can you change? “I should…“, “I want to…“, etc. What can you add? “I have to study new words”, “I want to see inspect your bathroom for scientific purposes”, etc. Say these things out loud as a drill. Stick to the first two points in the beginning, get some sample sentences, write down like 5 more and say them out loud. Soon, you’ll be able to spit these out rapid-fire. Anything else? Read, read, read for more vocabulary. Word lists and Anki are great…but you need some context to see how these words are used. Pick up a Japanese book or manga. 私は大学生です meaning.. I am a college student. Just a general introduction of fact. 8. How can I bloody tell the difference between Shi/Tsu (シ/ツ) and So/N (ン/ソ)? Easy! Do what I did. Shi and So’s squiggly lines up top… consider them purely horizontal. シン. See? They both go to the left when you mark them down from right to left. So and N’s little dots, or lines or whatever, ン/ソ, go straight down. Just remember them as that and with enough reading, you’ll see the slight angle difference between the two? Now, is it correct to consider one purely horizontal and the other purely vertical? Is that the honest Japanese way? Don’t know, don’t care. All I know is that using this little hack helped me see the difference between these kanas. The explication of Shi/Tsu and So/N is a little messed up. Previous Previous post: Learning Language Like A Child. Why SOME Of It Works. And What You Can Do.